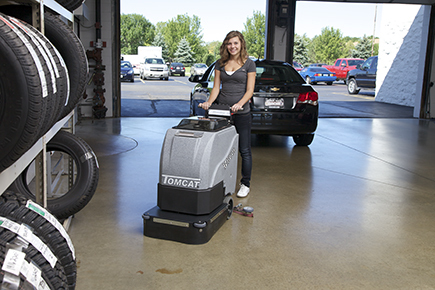 Small machines don't always skimp on power. The RECON was designed to be as powerful as our larger models, but with a smaller frame and tank capacity. 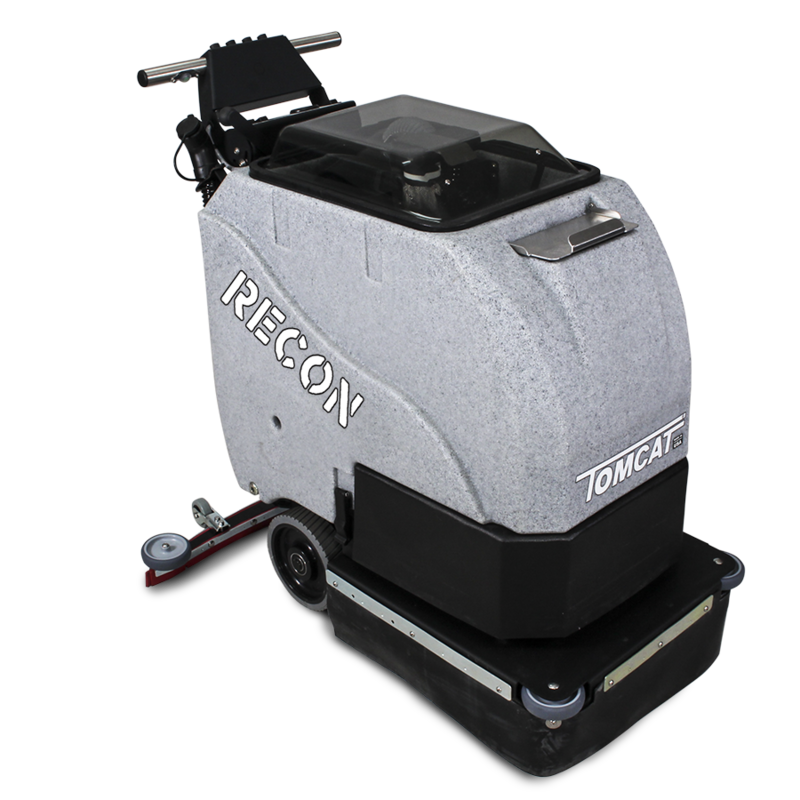 These RECON Floor Scrubber Dryers are great for smaller machine shops, retail stores, and janitorial companies that clean bathrooms. 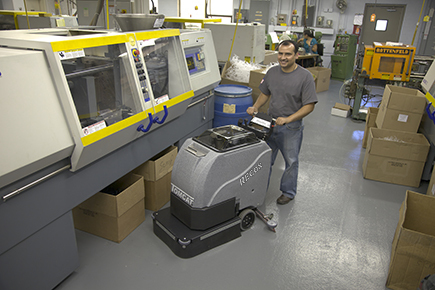 This small machine can get almost anywhere. RECON's allow the Operators into tight spaces. 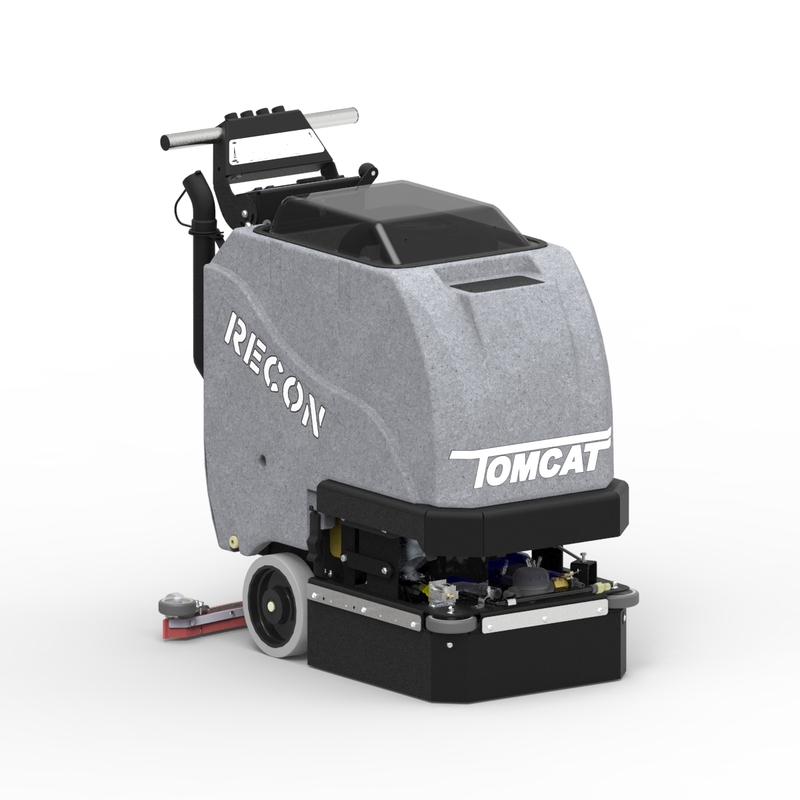 While keeping with the constant durability that Tomcat machines have to offer, your operators will find the RECON Floor Scrubber Dryer easy to maneuver into tight areas, and simple to service. The deck is protected by the steel frame and large polyurethane rollers to keep the unit from marking walls. 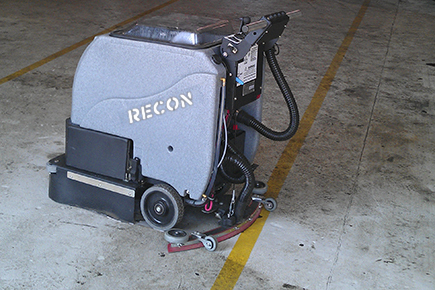 The RECON Scrubbers are available with Disk scrub heads.